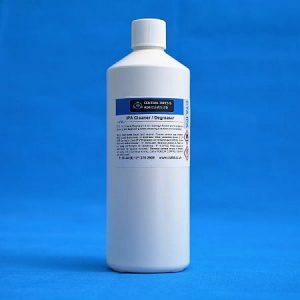 Cyanoacrylate 1160 Bonding Kits (Mitre Mate) is a high viscosity modified Ethyl Cyanoacrylate adhesive combined with as a spray activator to achieve an instant bond. 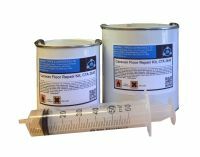 1160 bonding kit allows users to enjoy the fast curing and high bond strengths of cyanoacrylates on surfaces that would normally be unsuitable for these adhesives. Examples are porous surfaces and acidic surfaces. The activator is primarily designed for fast cure of the adhesive or for post-curing outside the bond line. The system is particularly useful for preventing the low viscosity adhesive being absorbed into porous surfaces. Typical examples for use include carpentry; MDF and other woods. Cyanoacrylate 1160 bonding kits (Mitre Mate) is suitable for bonding a very wide range of materials, including some porous ones, where fast bonding is required. Formulated to provide a high tensile and shear strength. This product has a speed of 3 seconds at 20°C. This super glue has a viscosity of 1500cps. 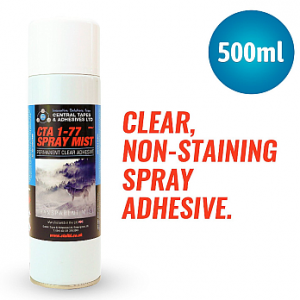 Cyanoacrylate 1160 bonding kits (Mitre Mate) is normally hand applied from the bottle. Apply sparingly to one surface and press parts firmly together until handling strength is achieved. As a general rule, as little adhesive as possible should be used – over application will result in slow cure speed and lower bond strength. Store in a cool area out of direct sunlight. Refrigeration to 5°C gives optimum storage stability. Before dispensing, ensure that surfaces are clean, dry and free of any dirt, dust and grease. For the best results, we recommend using CTA IPA Cleaner Degreaser. 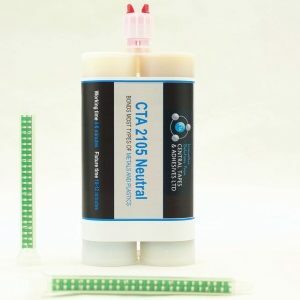 For difficult to bond surfaces or where there are gaps or porous surfaces, CTA activators may be required. 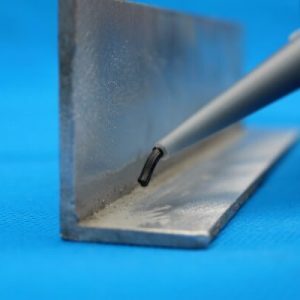 For more information, read our guide to surface preparation for adhesives and best working practice. Central Tapes & Adhesives have a comprehensive range of adhesives, automotive sealants and seam sealers readily available to the the automotive and construction industry, particularly for bonding stainless steel and aluminium. Cyanoacrylate 1160 bonding kits (Mitre Mate) is available as a 50g adhesive bottle and a 200ml can. For more information, please contact us. All prices are inclusive of VAT.